Are you ready? 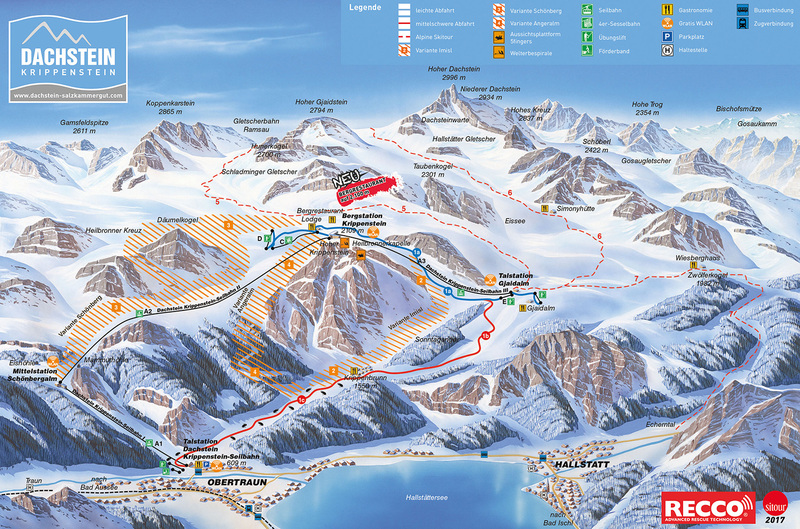 For 30 km finest freeride variants and powder routes and the longest run in Austria? In the Freesports Arena Dachstein Krippenstein in Upper Austria’s Salzkammergut is everything possible: ski and board on prepared ski slopes, on and off piste on 30 km off-piste variants as Schönberg, Imisl and Eisgrube offers on 1500 high meters rough rocky ridges to the deep forest and is rich in diversity ski terrain, freeride training and snow camps, snowshoe hiking on marked trails with great views to Hallstatt and Dachstein glacier, skitouring on Dachstein mountain area, ice climing, paragliding.